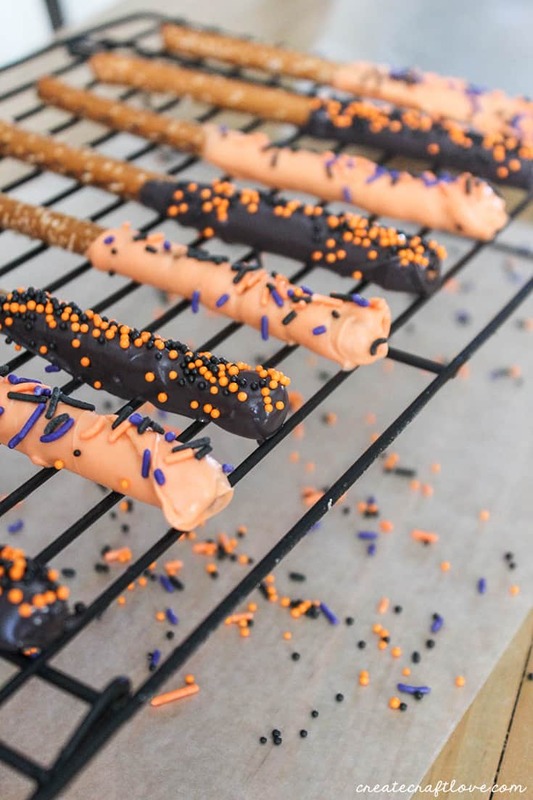 These Halloween Chocolate Covered Pretzels are a great make ahead treat for your next party! 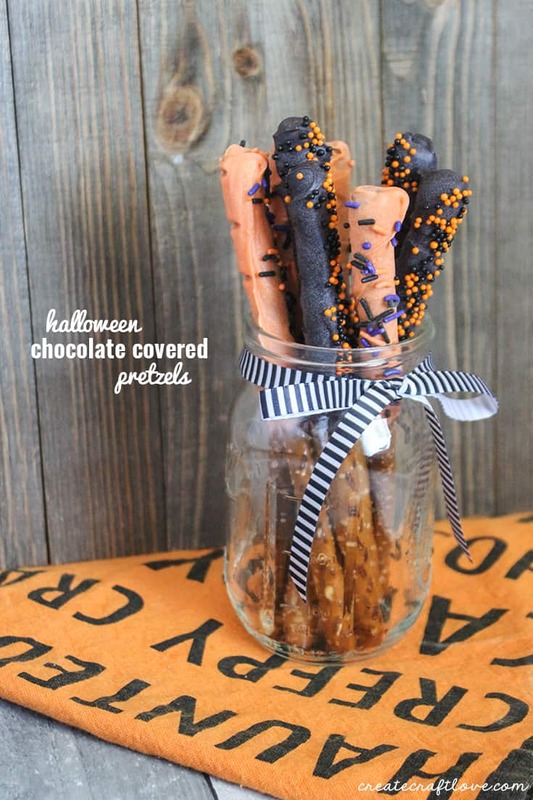 Make Your Own Halloween Chocolate Covered Pretzels! I love easy holiday treats! My family loves my Halloween Muddy Buddies. But chocolate covered pretzels are my favorite! 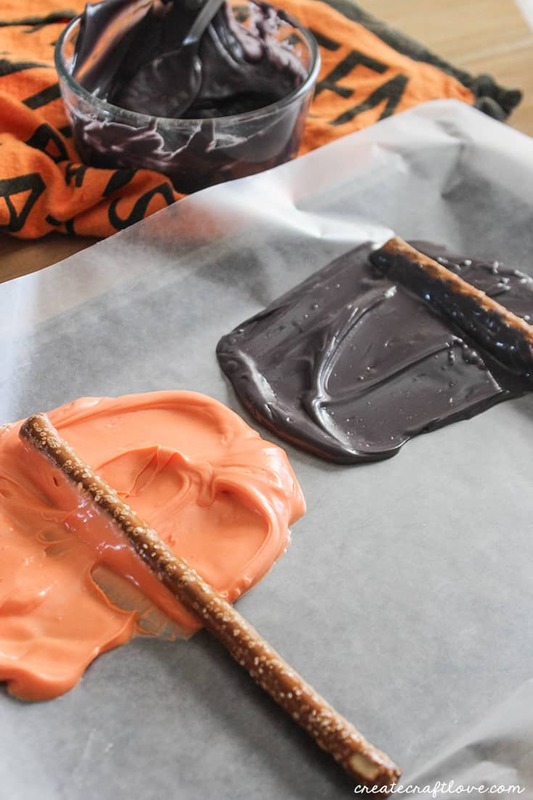 Once the candy is melted, I pour some onto a wax paper covered cookie sheet. This allows for easier “dipping” than using the bowl. Now you can simply, roll the pretzel rod through the melted candy instead of trying to dip in the bowl. 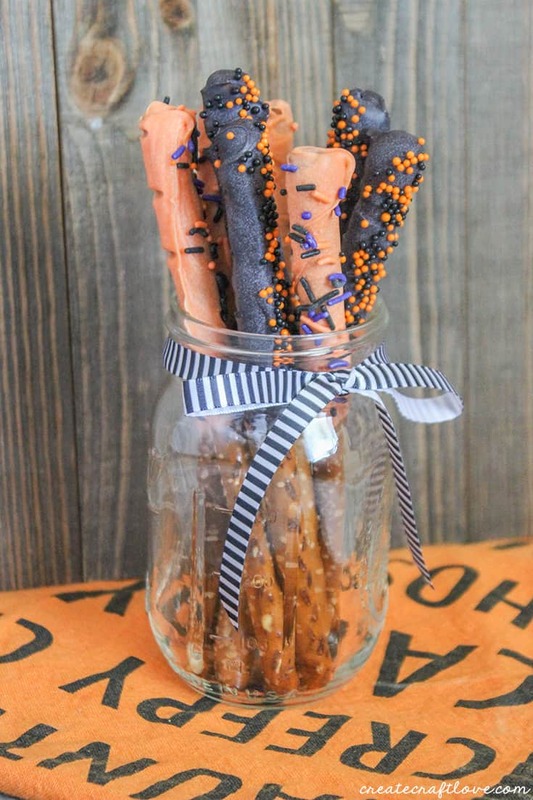 This method also makes for much prettier looking pretzels in the end. Once the pretzels have been rolled in the candy melts, I place them on a baking rack set on a cookie sheet to add the sprinkles. The cookie sheet will catch MOST of the rogue sprinkles but not all. I guess I could do it over the sink but then I can’t reuse the ones that I catch in the cookie sheet. Carefully sprinkle on your Halloween sprinkles and allow the candy to harden. Store in an airtight container! I love making these ahead of time for holidays and parties! They keep well and taste great!